Beautiful ï¼Comfortable In Bathroom. 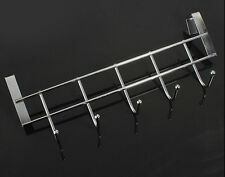 Towel Rack Size: About 58cmx20cmx15.5cm. 1 X Towel Rack. Easy To Install To Wall. You can follow below process to chontact us. 5 hooks to hang a lot of things, help you save space. This hook sturdy, there are five hooks. 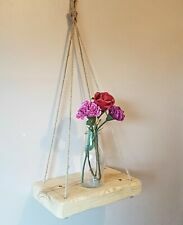 Door back suspension, no nails, no glue, ease of use. Material: Stainless steel. Size：As the picture following. 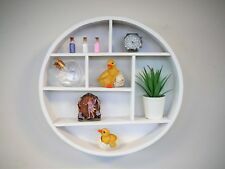 Multi-purpose shelving. 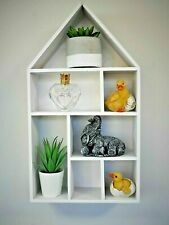 Roost 4 Tier Freestanding Storage Unit. Requires assembly. Width: 33cm. Can hold the toilet paper properly to avoid the roll dropping off while in use. If you are looking for simplicity and style in your bathroom or toilet you've found it. Size: 64 x 14cm. Then we will ask you to send the item(s) back to us, so that we can check. HOME Squares 6 Cube Storage Unit - Black. Mount it to a wall to ensure your toilet paper rolls stay clean, dry, and always within reach. Great Range of Products. We will always do our best to resolve any issues. Genuine & Authentic. Automatic Squeezer for Toothpaste Dispenser Device Belt Toothbrush Holder Set. Plastic Toothpaste Dispenser Toothbrush Holder Stand Wall Mounted Bathroom. Toothbrush Holder Toothpaste Razor Stand Rack Bathroom Organizer Stainless Steel. SKU: BABA46. 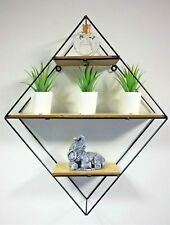 Two tier wall shelving unit made from rectangular steel tubing and bamboo wood shelves. Ideal for any room in the house this handy storage shelf with integrated hanging / towel rail is perfect for bathrooms and kitchens. 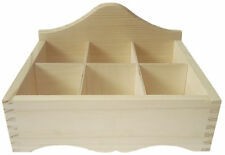 Maize Baskets Unit 4 Drawer White Wooden Slim Cabinet Storage Organiser Table. 4 maize baskets with inset handles. 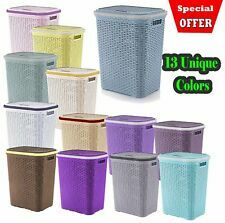 Maize baskets are all a grey colour. The maize drawers have removable fabric linings. Features: 100% Brand new and high quality Color: Silver Shape: Rectangle SIZE:31*14*5cm/12.2"*5.51"*1.97" Finished:Deep oxidation Number of Tiers:Single Tier Material : Space Aluminum This shelf could be used more than 10 years does not rust It could be mounted on the wall of your bathroom,so that maximize your bathroom's storage space Use the shelf to store shampoo, cleaning supplies and other items Package list: 1 x Single Tier Rectangle Bath Rack 1 x Accessories Package . SKU: BABC45. 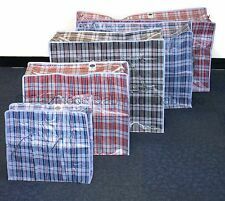 Ideal for bathroom supplies, towels or general storage is will look good in any room in the house.